The following is our review of Keto Function Ignite Keto. 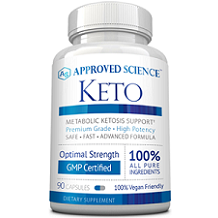 The manufacturer claims that the formula of this product is the purest, most effective, and best tasting exogenous ketone supplement available. This product contains no fillers so you get 12 grams of pure BHB ketones per serving to fuel ketosis and raise blood ketone levels. Continue reading for our full review. Other ingredients include natural flavor, organic coffee powder, and stevia leaf extract. This product is dairy and gluten free. These ingredients should be able to provide you with energy, better performance, and focus. They should also be able to boost blood ketones. They contain no additives, no sugar, and no junk. It is recommended to shake or stir 1 serving into at least 10 ounces of cold water. You should begin with half a scoop to asses tolerance. It may be consumed between meals, on an empty stomach, or whenever increased physical and mental performance are desired. Do not exceed 3 level scoops per day. Do not exceed recommended dose. You should consult a healthcare professional before using this product if you are pregnant, nursing, under the age 18, or have a known medical condition. Discontinue use immediately if new or worsening symptoms appear. Store the bottle in a cool, dry place and keep out of the reach of children. 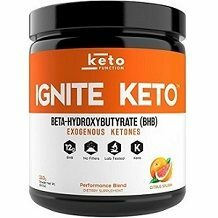 Keto Function Ignite Keto can be purchased directly from the manufacturer for $49.99. It is currently on sale and is usually sold for $59.00. There are 16 servings per container so this product will last you 5 days to a little over 2 weeks depending on how many serving you have a day. As you can see, this is a very expensive product. The manufacturer says to give the product a try and be assured with their 100% money-back guarantee. They say that if you try it and don’t like it they will refund your money with no hassle. There was no other information regarding their return policy. Even though it seems like you can returned used products, we are not so sure. There are a couple of positive things about Keto Function Ignite Keto. It has no possible side effects. It also is gluten and dairy free. There are a couple of negatives as well. The price of this product is extremely steep considering it will only last you a max of 16 days. This product also seems to come with a great guarantee, but because it lacks a lot of crucial information, we can’t really guarantee you will get a full refund if you are not satisfied with the product. It also makes us nervous that they want customers to start with a smaller dose to asses their tolerance for this product, meaning this product could have a negative side effect on them. We feel you are better off trying a different product that is safer and more affordable.